Although Pawleys Island offers tons of fun activities and thrilling excursions to try out during your South Strand vacation, the laid-back coastal destination is also the perfect spot to relax and unwind. At Litchfield Beach & Golf Resort, guests have plenty of ways to enjoy a tranquil and serene condo rental experience. If you're hoping for a beach vacation that will bring you tranquility and peace of mind, try out our four following suggestions. 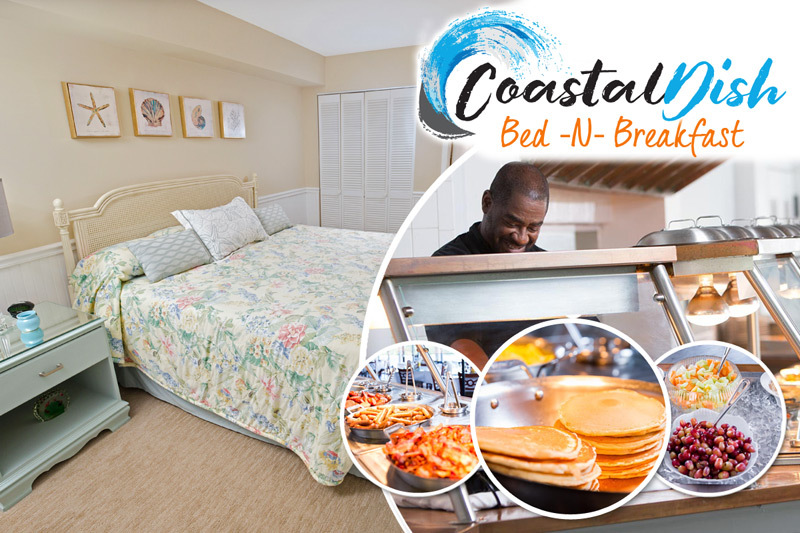 The Litchfield Beach and Golf Resort is located right along the coast, so whether you're staying in an oceanfront condo or one of our nearby beach homes, you'll have easy access to the sandy shores of the Atlantic. Make the short walk or drive to the beach, where you can enjoy a relaxing walk, or really tap into your sense of inner tranquility through meditation/yoga. We suggest yoga at sunrise for an extra special view of the watercolor hues of the Carolina sky. I don't know about you, but "Namaste" at the beach! You'll find two primary pools onsite at Litchfield Beach and Golf Resort in Pawleys Island. The outdoor pool amenities can be found at the Play Pool Plaza, which includes a mini waterpark, lazy river, and lounge deck. The outdoor pool area is the perfect place to bring a book and enjoy poolside relaxation while sunbathing. Guests also have access to the indoor pool and hot tub, located inside the Health Club. Be sure to visit the steam room or sauna before heading back to your condo as well. Whether you consider yourself a seasoned professional, or you're looking to try the sport of golf for the first time, you'll find that hitting the links is a great way to unwind during your beach vacation. The best part is that you won't have to travel far away from the resort to do so. Our golf specialists are standing by to help build the perfect golf course recommendations based on your skill and preference. Grab some clubs and get ready for a relaxing day on the greens. What better way is there to relax and unwind after a long day of vacation experiences than with a signature cocktail and live music? Guests can take part in Happy Hour from 4pm-7pm nightly at the Litchfield Beach & Golf Resort's tiki bar, The Deck! Make sure you stop by on Friday and Saturday evenings from 5pm-8pm for live music from a variety of local entertainers. 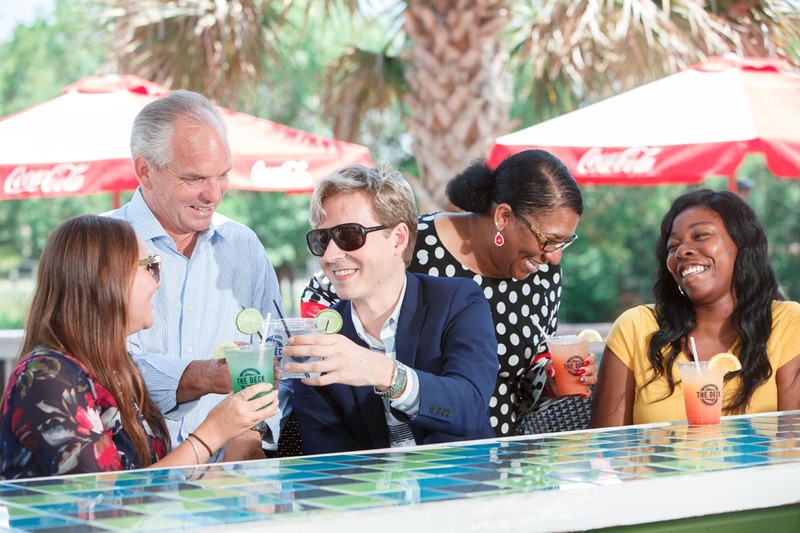 Catch up with your fellow travelers or just sit back and relax while enjoying our Lowcountry-themed drinks and small plates. From strolling or meditating along the shore to lounging poolside to playing a round of golf, Litchfield Beach and Golf Resort has you covered for an idyllic, relaxing beach vacation. Leave your worries behind and start planning your next trip to the Hammock Coast today!